← TBT: Pennsylvania, Too Weird To Remain a State? I was traveling this week and didn’t have time for my usual weekend Phil Factor. This is a funny one from a couple years ago that not many people saw the first time. 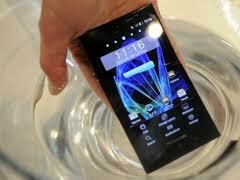 According to an online survey 19% of cell phone users have dropped their phone into the toilet at least once. That isn’t a problem however for 1.5 billion people. Not just any 1.5 billion people though. This is the 1. 5 billion who have cell phones but not toilets.